Looking forward to spring weather? I sure am! The weather here in West Michigan has been odd this winter season. We haven't had a lot of snow where I am but the air has been freezing. I'm looking forward to warmer days where the sunshine is out and I don't have to wear so many layers. 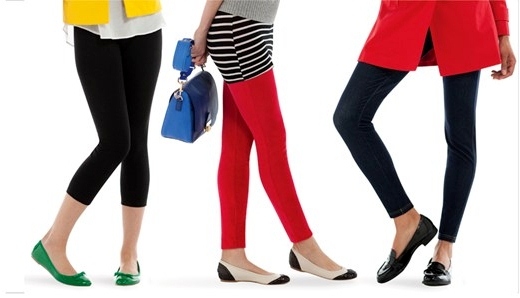 Leggings are really cute for spring and they come in lots of colors. I can match the up to any outfit easily plus they are comfortable and cute. Leggings can be dressed up or down, they are just so easy and everyone should own at least one pair. No nonsense has a great selection of leggings in many sizes up to XL. No nonsense also has socks, hosiery and intimates at great prices with free shipping over $45.